Start crafting today! 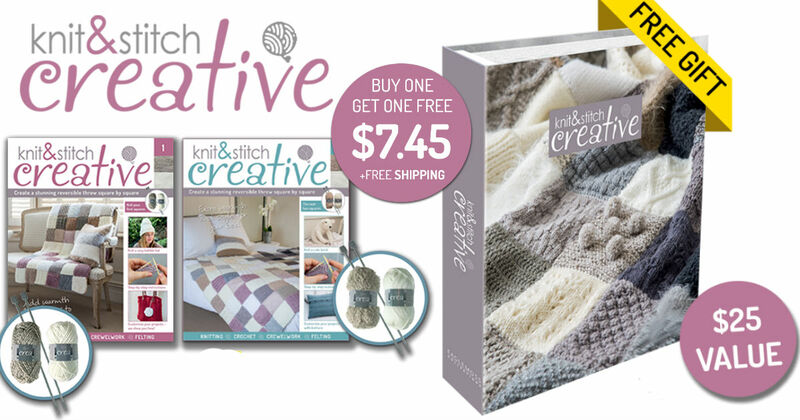 Sign up for a Knit and Stitch subscription to receive a free $25.00 introductory package. This package includes 2 creative magazines, 4 balls of CreaTM yarn, 4 knitting needles, and a binder with dividers to keep your magazines, patterns and inspirations. Just pay $7.45 for your first issue and get your second issue free. Plus FREE shipping and handling! This offer is available for a limited time, so sign up now!